Arbitration Result and Right of Appeal: Judgment upon the award given by the arbitrator may be entered in any court having jurisdiction. The arbitrator’s decision is final and binding, except for any right of appeal provided by the FAA.The arbitrator’s authority shall be limited to deciding the case submitted by the parties to the arbitration. Therefore, no decision by any arbitrator shall serve as precedent in other arbitrations except in a dispute between the same parties, in which case it could be used to preclude the same claim from being re-arbitrated. If the amount of the Claim exceeds $25,000, any party can, within 30 days after the entry of the award by the arbitrator, appeal the award to a three-arbitrator panel administered by the Administrator. (If an appeal is not filed within that time period, the arbitration award shall become final and binding). The panel shall reconsider de novo (anew) any aspect of the initial award requested by the appealing party. This means that they shall reach their own findings of fact and conclusions of law rather than deferring in any manner to the original arbitrator. The decision of the panel shall be by majority vote. Reference in this Arbitration Agreement to “the arbitrator” shall mean the panel if an appeal of the arbitrator’s decision has been taken. The costs of such an appeal will be borne in accordance with subparagraph (g) above, captioned “Cost of Arbitration.” Any final decision of the appeal panel is subject to judicial review only as provided under the FAA. Notice of Claim; Right to Resolve; Special Payment: Prior to initiating, joining or participating in any judicial or arbitration proceeding regarding any Claim, the Claimant (the party who asserts or seeks to assert a Claim in a lawsuit or arbitration proceeding) shall give the other party written notice of the Claim (a “Claim Notice”) and a reasonable opportunity, not less than 30 days, to resolve the Claim. Any Claim Notice you send must include your name, address, telephone number and loan or account number. Any Claim Notice must explain the nature of the Claim and the relief that is demanded. You may only submit a Claim Notice on your own behalf and not on behalf of any other party. The Claimant must reasonably cooperate in providing any information about the Claim that the other party reasonably requests. If: (i) you submit a Claim Notice in accordance with this paragraph on your own behalf (and not on behalf of any other party); (ii) we refuse to provide the relief you request before an arbitrator is appointed; and (iii) an arbitrator subsequently determines that you were entitled to such relief (or greater relief), the arbitrator shall award you at least $7,500 (not including any arbitration fees and attorneys’ fees and costs to which you may be entitled under this Arbitration Agreement or applicable law). We encourage you to address all Claims you have in a single Claim Notice and/or a single arbitration. Accordingly, this $7,500 minimum award is a single award that applies to all Claims you have asserted or could have asserted in the arbitration, and multiple awards of $7,500 are not contemplated by this Section. By visiting ONE FLAT FEE REAL ESTATE, you agree that the laws of the State of Georgia, without regard to principles of conflict of laws, will govern these Terms and Conditions of Use and/or any dispute of any sort that might arise between you and ONE FLAT FEE REAL ESTATE or its affiliates, except for the Arbitration Agreement, which is governed by the Federal Arbitration Act. THIS SITE IS PROVIDED BY ONE FLAT FEE REAL ESTATE ON AN “AS IS” AND “AS AVAILABLE” BASIS. ONE FLAT FEE REAL ESTATE MAKES NO REPRESENTATIONS OR WARRANTIES, EXPRESS OR IMPLIED, AS TO THE OPERATION OF THIS SITE OR THE INFORMATION, CONTENT, MATERIALS, OR PRODUCTS INCLUDED ON THIS SITE. YOU EXPRESSLY AGREE THAT YOUR USE OF THIS SITE IS AT YOUR SOLE RISK. TO THE FULL EXTENT PERMISSIBLE BY APPLICABLE LAW, ONE FLAT FEE REAL ESTATE DISCLAIMS ALL WARRANTIES, EXPRESS OR IMPLIED, INCLUDING BUT NOT LIMITED TO IMPLIED WARRANTIES OF MERCHANTABILITY AND FITNESS FOR A PARTICULAR PURPOSE. ONE FLAT FEE REAL ESTATE DOES NOT WARRANT THAT THIS SITE, ITS SERVERS OR E-MAIL SENT FROM THIS SITE ARE FREE OF VIRUSES OR OTHER HARMFUL COMPONENTS. ONE FLAT FEE REAL ESTATE WILL NOT BE LIABLE FOR ANY DAMAGES OF ANY KIND ARISING FROM THE USE OF THIS SITE, INCLUDING, BUT NOT LIMITED TO, DIRECT, INDIRECT, INCIDENTAL, PUNITIVE AND CONSEQUENTIAL DAMAGES. The purpose of ONE FLAT FEE REAL ESTATE is to allow our users to gain access to our real estate professionals, mortgage lenders, service providers and data. To gain access to this network of professionals, you must submit certain personal information. This information will be used by ONE FLAT FEE REAL ESTATE to assist you in the real estate transaction process. To assure the value of the services to be provided to you, you agree that you will provide accurate and complete information. Once you have been contacted by a real estate professionals or service provider, any agreement you enter into with such third party will only be between you and such third party. © 2018 ONE FLAT FEE REAL ESTATE. All content included on this site, such as text, graphics, logos, button icons, images, and audio clips, digital downloads, and data compilations, are the exclusive properties of ONE FLAT FEE REAL ESTATE/Local MLS/Other affiliated parties and are all subject to copyright and other intellectual property protection laws. ONE FLAT FEE REAL ESTATE and all other trademarks and service marks indicated on our site are the properties of their respective owners. These objects may not be copied for commercial use or distribution, nor may these objects be modified or reposted to other sites. The framing of any content is strictly prohibited. 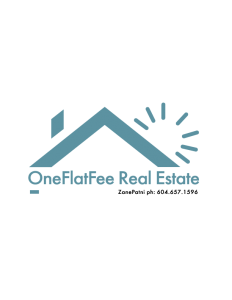 ONE FLAT FEE REAL ESTATE grants you a limited license to access and make personal use of this site and not to download or modify it, or any portion of it, except with the express written consent of ONE FLAT FEE REAL ESTATE. This site or any portion of this site may not be reproduced, duplicated, copied, sold, resold, visited or otherwise exploited for any commercial purpose without the express wrote consent of ONE FLAT FEE REAL ESTATE. Financial decisions, including decisions about real estate, are serious decisions that should not be taken lightly. ONE FLAT FEE REAL ESTATE, its agents, employees, officers, subsidiaries, members or affiliates do not, via this website or otherwise, encourage you to make any particular decision on issues concerning real estate without first seeking professional advice from your attorney or accountant. The material contained on this site is offered as information only and not as financial, accounting, legal or other professional advice. Users of this site should contact their own professional advisors for such advice. You agree that you must evaluate and bear all risks associated with your dealings with any real estate investor or investment company or real estate broker or Brokerage Company that is linked to, included in, or referred to by this site. You agree and understand that your choice to deal with any member or affiliate of this site is done at your discretion and risk, and you will be solely responsible for such dealings. In no event shall ONE FLAT FEE REAL ESTATE be liable for any direct, indirect, incidental, punitive or consequential damages of any kind whatsoever with respect to your dealings with investors, members or affiliates of this site. From time to time, ONE FLAT FEE REAL ESTATE may include on its site third party service providers (such as a lender, mortgage broker loan originator, etc.). ONE FLAT FEE REAL ESTATE may post information about, or links to, these companies as a service to its users who may be interested in such services. ONE FLAT FEE REAL ESTATE is not responsible for the contents of any link to or from this site. We do not endorse the policies or practices of, or opinions expressed on, other websites linked to or from this site; nor do we make any representations or warranties with respect to the accuracy of any items or claims contained in such other websites. Any links are provided for you only as a convenience, and the inclusion of any link does not imply endorsement by us of the services, the site, its contents or its sponsoring organization. I am dedicated to selling or finding your dream home. I specialize in the flat fee real estate model. I urge you to browse my website or call me direct at 604-657-1596 or email me with any questions you have about buying or selling real estate. Are there other Flat Fee Providers In Canada?